In the early 1990s, after decades of decline, the central city population began rising again. Many new residents were single people or childless couples, attracted by the bustle of urban life and proximity to workplaces. Others were Asian immigrants and students who were used to inner-city living. Developers encouraged the trend by converting old buildings, and building new apartment blocks. 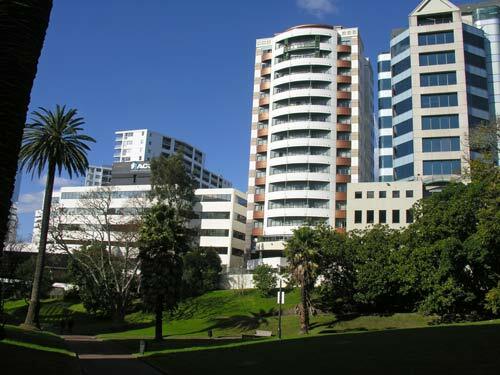 This Queen Street apartment block (middle) faces Myers Park.